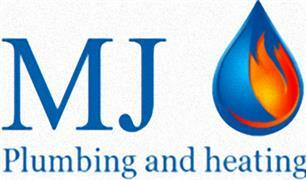 MJ Plumbing and Heating - Central Heating Engineer, Plumber based in Pattingham, West Midlands. We are a small, local, family run business who pride ourselves on customer satisfaction. At MJ Plumbing and heating we pride ourselves on offering a professional and unrivaled service. We will always go that extra mile to ensure our work is of the highest standard and we tailor our services to suite you. Because no two jobs are the same we treat every job and customer individually. We will always respect your property as if it were our own so you can be rest assured that we will look after your property whilst we are working. We like to make our customers count, so rather than just complete a job, we also like to get to know our customers to give a more personnel service. We are Gas safe registered, water regulations accredited and a Vaillant advanced installer. So why not try our reliable, professional and friendly service and you will not be disappointed. MJ Plumbing and heating cover all aspects of gas work and plumbing, this covers: Central heating installation Boiler replacement Gas servicing Bathroom installation/renovation Kitchen installations Toilet/tap repairs Outside taps. We will not be beaten on price so if you have had a cheaper quote elsewhere then please try us and we will beat it. We keep fully up to date with all the latest technology, Regulations and accreditations. Our services cover all over England and Wales.